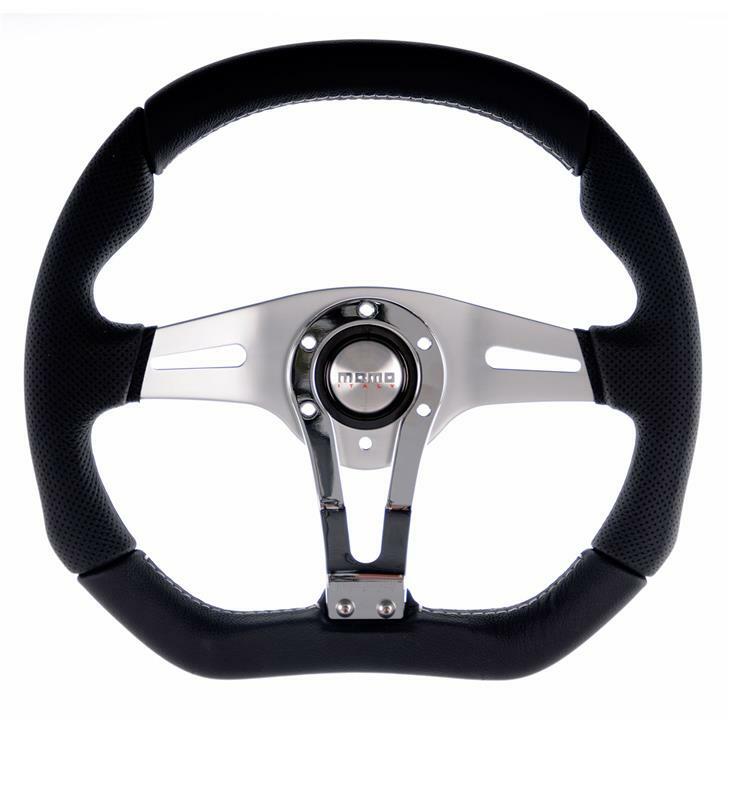 Whilst maintaining the traditional MOMO three spoke design, the Trek R steering wheel offers a modern twist that really sets it apart from the rest of the MOMO tuning steering wheel range. This modern interpretation sees the Trek utilize a centre ring spoke combination, in which the chrome centre spoke continues around the silver MOMO Italy horn button and returns on itself to form a partial centre ring that screams unique. 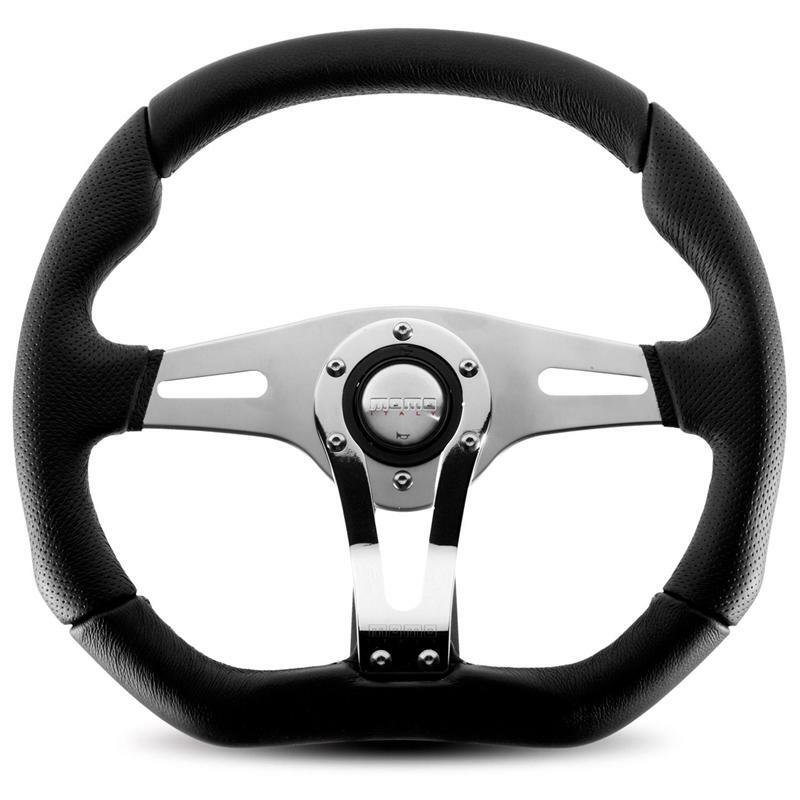 In addition, the MOMO Trek steering wheel features a bi-leather and alcantara combination, offering a premium look and feel that’s worthy of its innovative design.